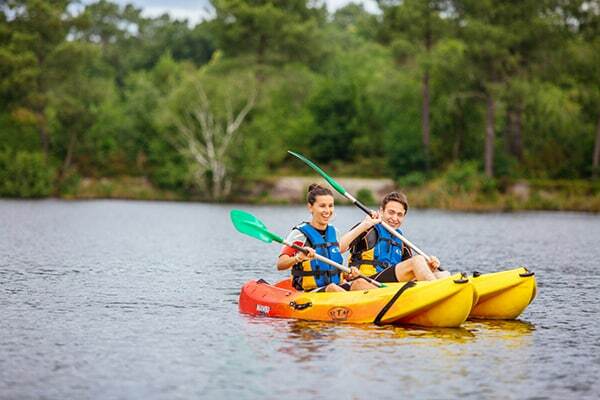 South Gironde: territory of folklore and traditions that you will not find anywhere else! During your visit, discover the local practices and traditions to better understand this area rich in values. 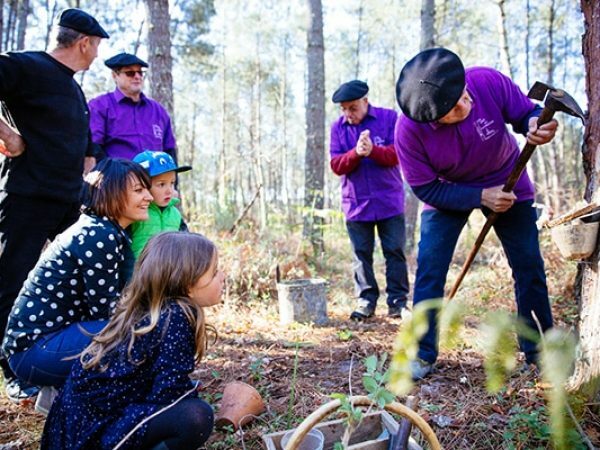 If you visit the South Gironde in autumn, you will surely come across some hunters on the roads or in the forests! Here, the wood pigeon hunt is a real institution that is practiced in the fall. Some regulars take a month off to go and hunt the wood pigeon! 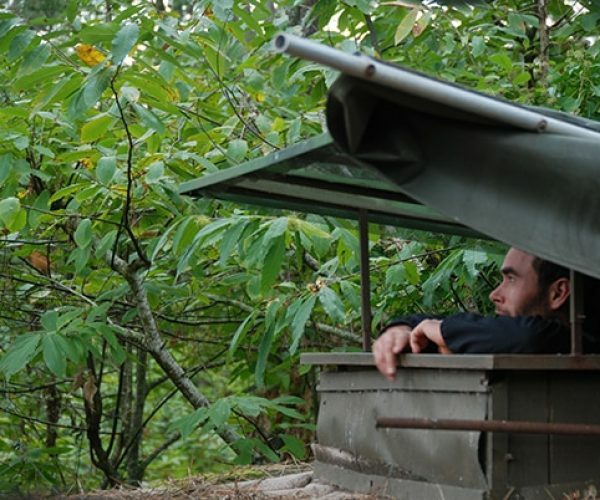 The "paloumayres" are the hunters who try to attract and catch the wood pigeons during the winter migration, using calls (callers, generally hawks that were caught in previous years). If you walk in the forest, you have chances to fall on one of the 3600 "palombières" that counts the Landes Girondines. But be careful to visit you have to be invited, or go through the Tourist Office which knows the right places! If you try to carrelet fish, you can surely catch some fish: eels, bars, mules... An experience not to be missed! 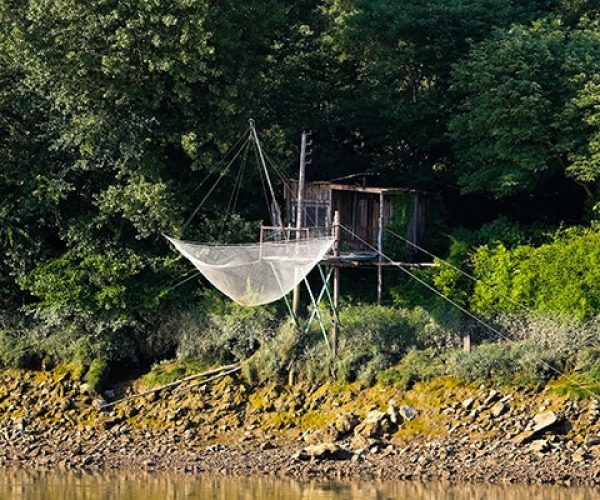 On the Garonne, the Mascaret phenomenon occurs during high tides, mainly in spring and autumn. Find out about the tide schedule to watch the show. Kayakers and surfers, amateurs as well as high level, come from all over the place to surf this wave so unusual... It is a real show to see if you are in the South Gironde! If you are passing through South Gironde around June 23rd, do not miss the Saint-Jean Festival, a true tradition that takes place every year in Bazas! 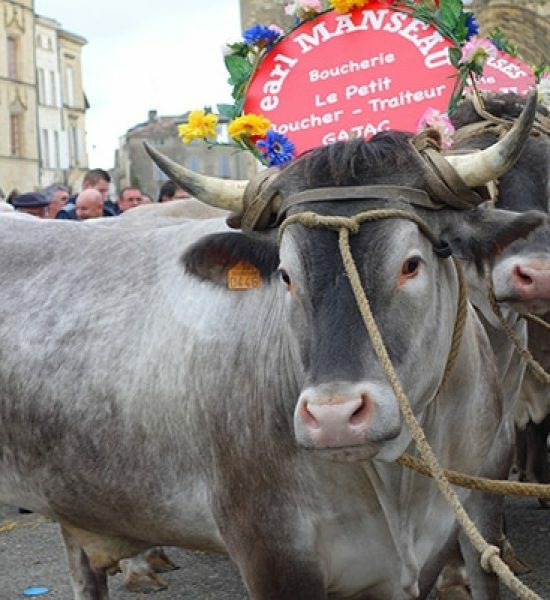 The Bazadais then celebrate their patron saint, respecting the traditions: a tribute ceremony to the bull, parades in costume and music and of course the traditional Saint-Jean fires to celebrate the arrival of summer! It is at traditional festivals that you can admire the folkloric group "Lous dé Bazats", which, from the top of their stilts, and accompanied by dancers, will make you vibrate to the rhythm of fifes and drums. A show in its own right! Always in Bazas, the Thursday before each Mardi Gras, takes place the traditional Fête des Boeufs gras! You will admire the most beautiful specimens of oxes of race bazadaise before they are judged by experts. Share a convivial moment in the evening around a great dancing dinner during which you will taste the race Bazadaise beef, exceptional meat of the South Gironde.